Leonard Maltin has selected five must see indie movies and you can see why and how he rated them on the Huffington Post. 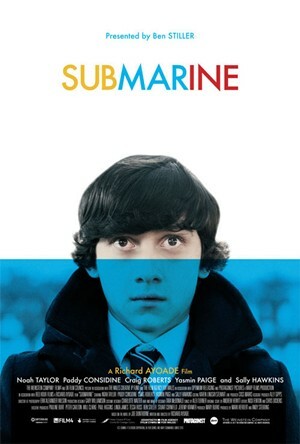 And number one on the list is Richard Ayoade‘s “SUBMARINE”. Ayoade is an only child of a Norwegian mother, Dagny (née Baassuik), and a Nigerian father, Layide Ade Laditi Ayoade. The film is based on a prize-winning novel by Joe Dunthorne. It is a dark indie comedy about a 15-year-old Oliver Tate who has two objectives: To lose his virginity before his next birthday, and to extinguish the flame between his mother and an ex-lover who has resurfaced in her life. This entry was posted in News, World by admin. Bookmark the permalink.